May 2014, our first wedding anniversary, deserved a special destination. From JFK to PFN to LIM to CUZ. 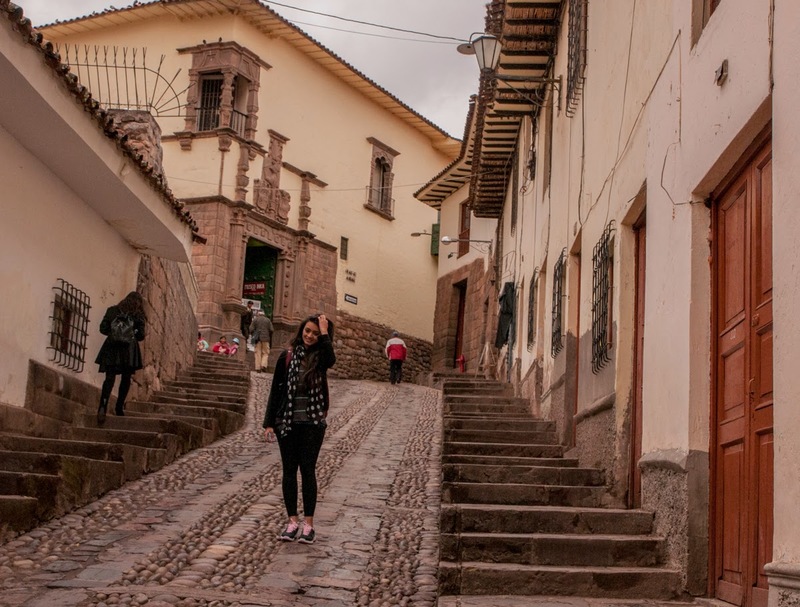 Post landing in Cusco, a town in the midst of the Andean range, nearly 3600m above sea-level, we were taken to a boutique hotel, Los Marqueses: charming, colonial, quaint and, as we came to understand, our home for the week. 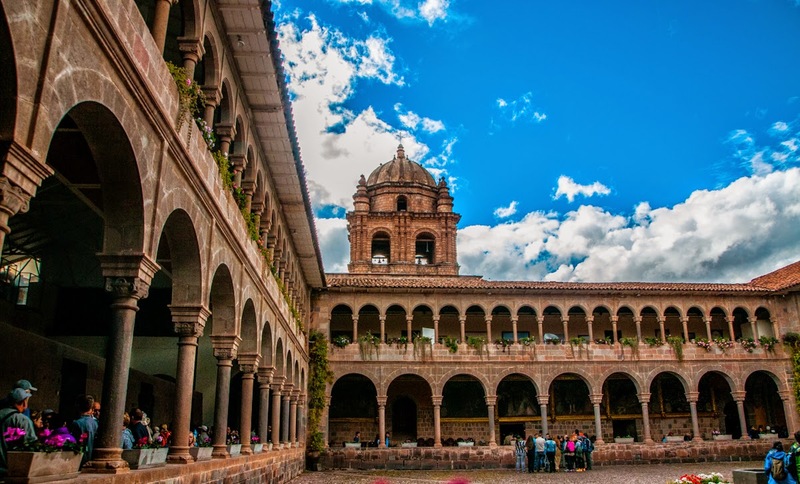 Coca tea, the country’s ingenious, natural way that alleviates altitude sickness, was consumed in copious amounts before heading out to the main square, Plaza del Amare that hummed with life. 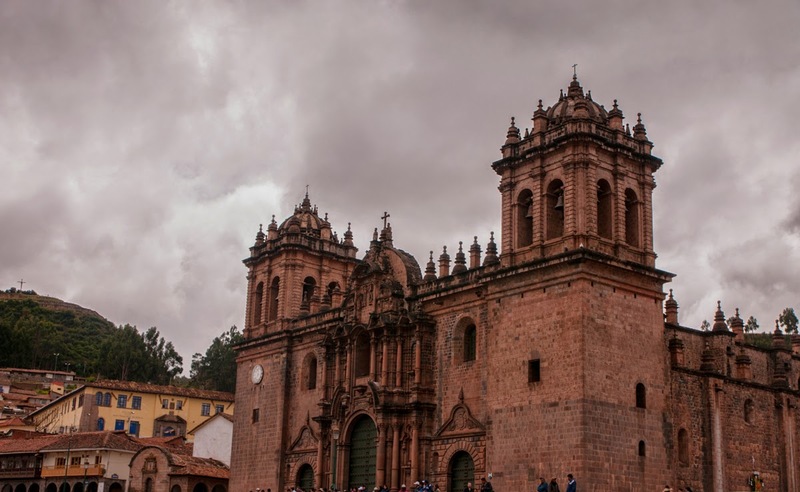 We parked ourselves on a bench watching the locals, stray llamas, gurgling fountains mostly adorned with the head of Pachacuti (the 9th and most important Incan warrior), overcast skies and stillness of the chill evening air. 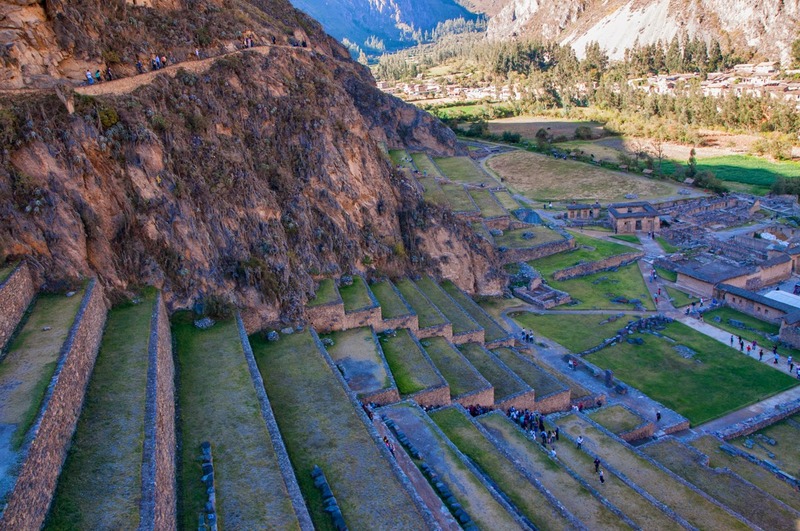 We then walked to the InKa museum, a collection of both the pre-Inca and Inca cultures, from carvings made of sandstone and ceramic and musical instruments of stone to traditional textiles of alpaca wool and wooden weapons used in hunting. Our first and last meal of the day was on the ledge at Café del Medio, Maori bread buttered with Maras (from the mines) salt, pumpkin, corn and bean risotto and celebratory wine in the light from the sunset skidding over us, with a view of the cityscape. After one year of togetherness, this is how we’d describe love: true, vast and permanent. 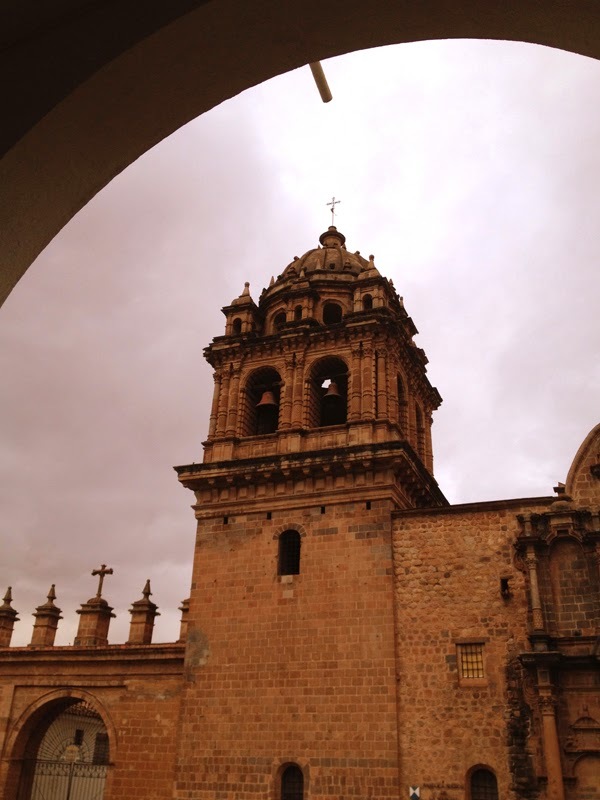 We started the following day with freshly brewed Peruvian coffee across the church of Basilica Menor de la Merced, along the arch of Santa Clara, in the Plazoleta Commandante. 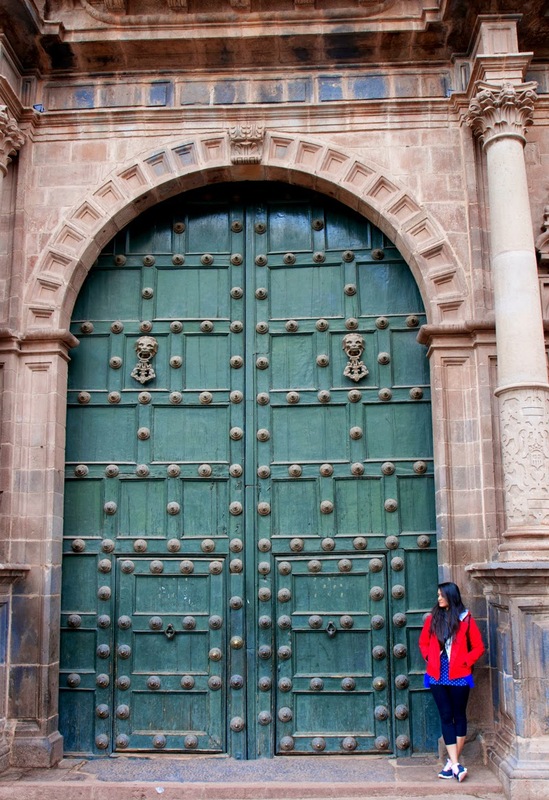 Next, we stopped at the Basilica de la Catedral, a Baroque-architecture Spanish colonial church, where interiors shimmering in gold and silver quietly reflected off atypical mirrors (symbolic of reflection of the soul). 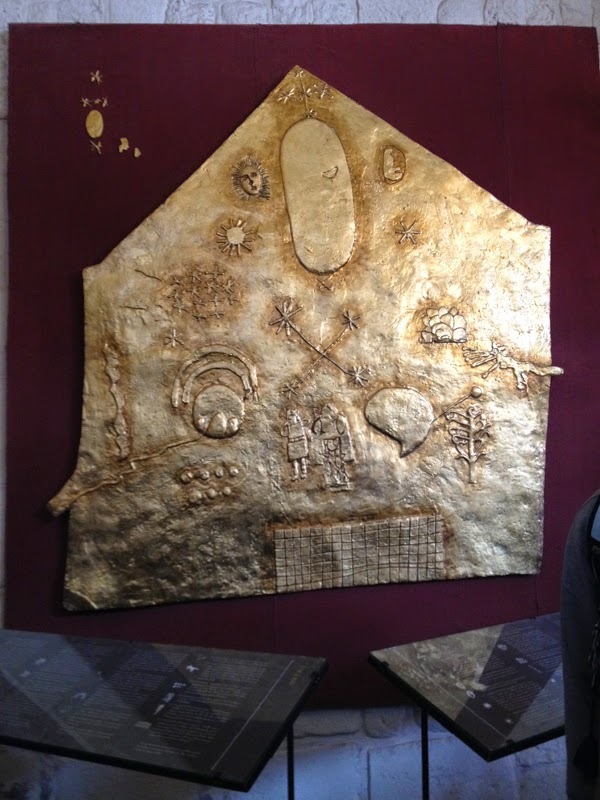 From a church to the Koricancha Temple (Temple of the Sun and “courtyard in gold” in Quechua), we took a stroll through the remains of the sanctuary, ogling at the marvellous establishment where statues, floors and walls were built in solid gold, from the 11th century. 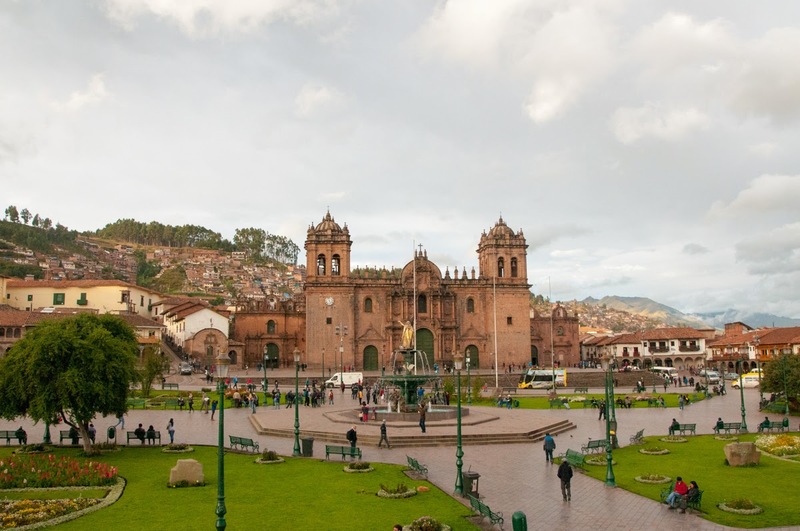 It is said that the city of Cusco was built around this very religious site. Medieval history defining the frenetic past. 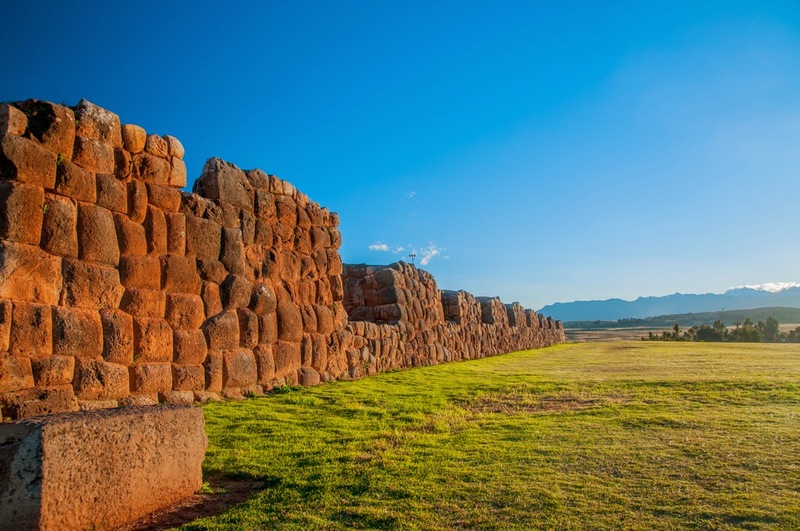 After a picturesque one-hour drive from the city centre, we beheld the palace of Saqsaywaman, home to Emperor Pachacuti and the administrative capital of the Inca Empire. 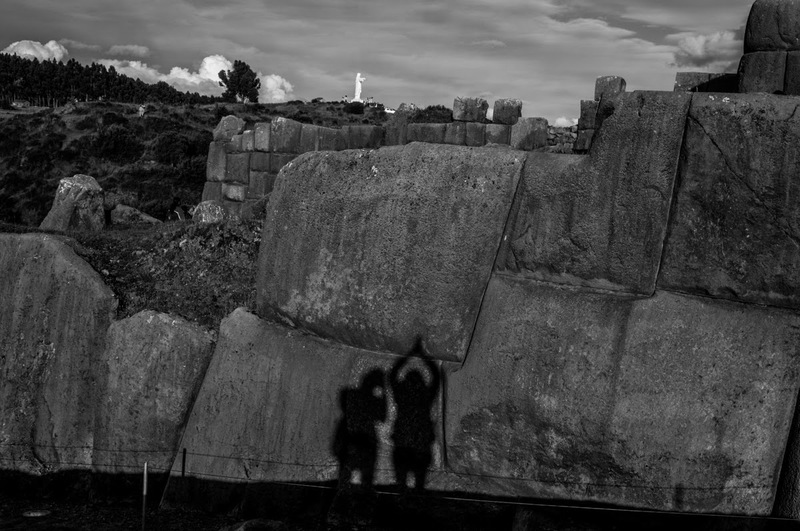 As we cast shadows against the light, this three-tiered citadel, a construction made in stone (notice the shape of the stone leaning inward to avoid destruction by earthquakes) told us tales from centuries ago. 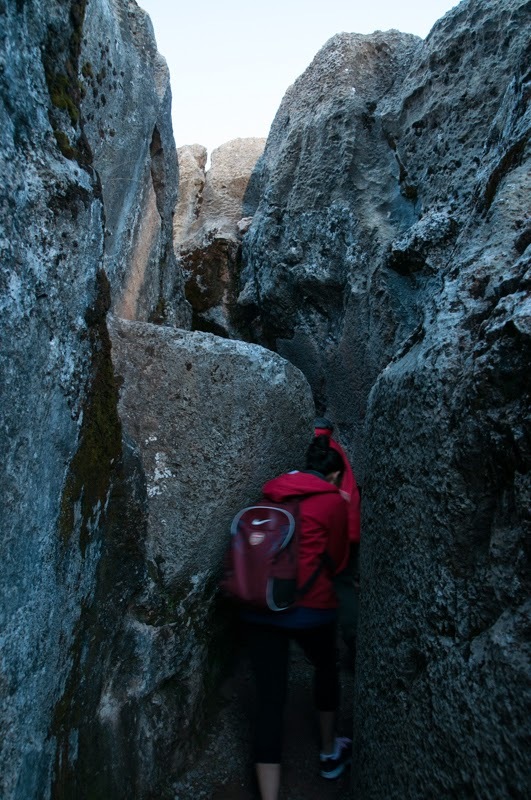 The salubrious environment of the hills felt like parallel universe and proved hard to get away from. We made our way, in the near twilight, towards Q’enqo, the largest site where the mummification of great leaders took place. 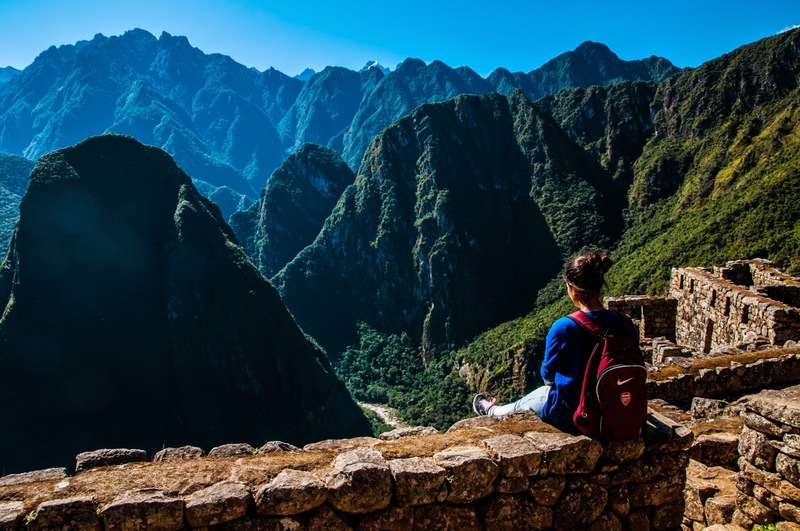 According to legend, the Incans could see the entire Milky Way galaxy and disbelieved in the concept of heaven and hell; if someone died they went up to the sky, if they were alive, they were a part of Mother Earth or Pachamama and, IF crime was committed, they were laid in a fetal position and their souls died. Our final stop on this day was Puka Pukara, 3800m high, a military centre built as a fortress from where the valley and the crags of mountains were spied on for intruders. Peaks of the range glowed in the virtual sunset. 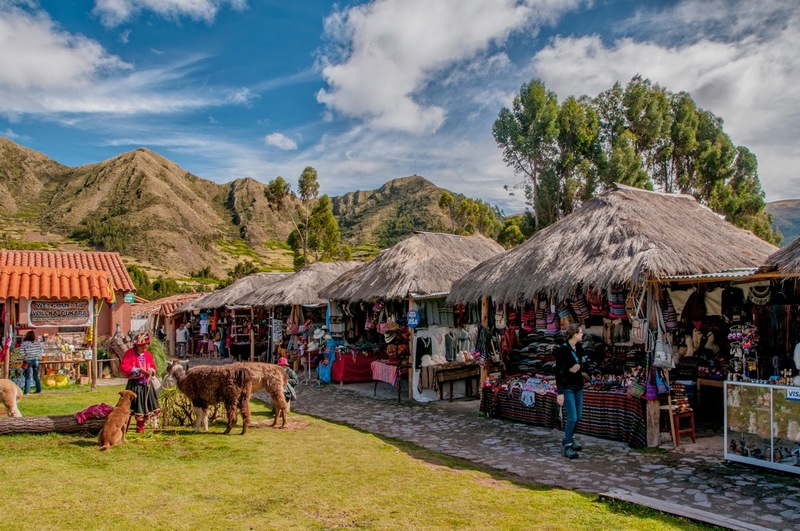 The next morning, snaking through the majestic landscape, we visited the P’isaq village market, in Sacred Valley, selling handcrafted goods of stone, ceramic, cloth and beads. 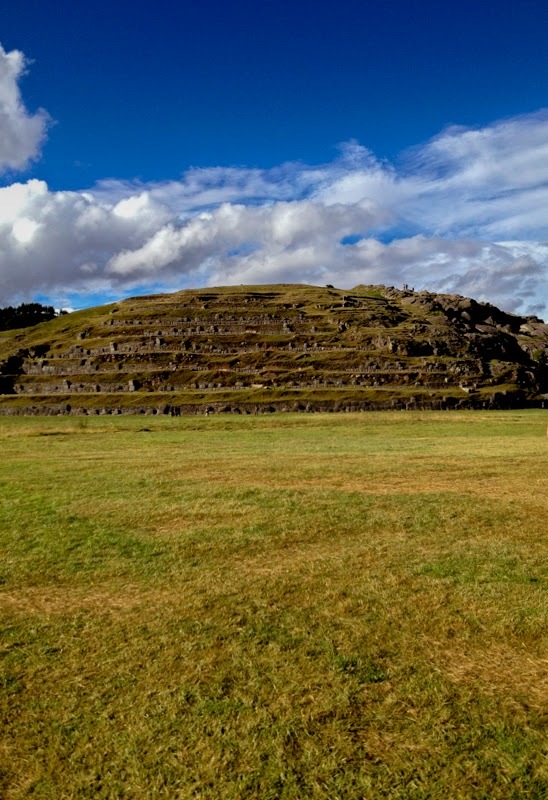 This was followed closely by the archaeological site, an old town under the shadow of the mountain, with vast, patterned agricultural terraces that grew potatoes, corn and quinoa. Acres and acres of perfect farmland. 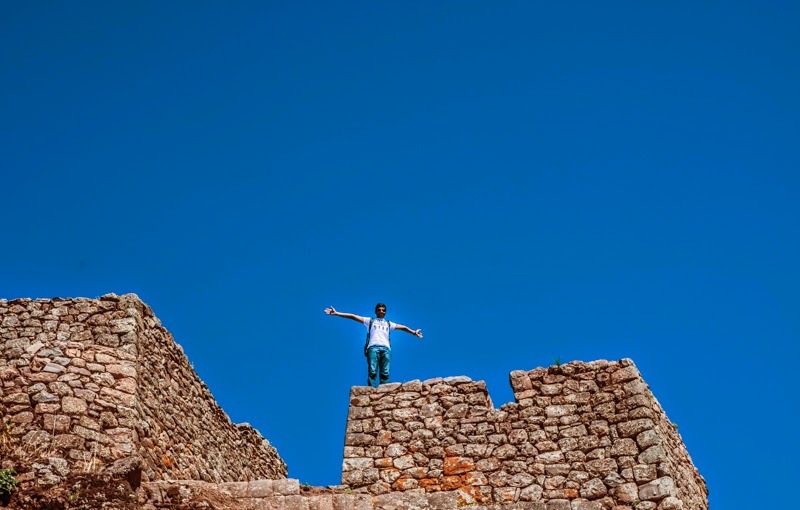 This sort of royalty erected by the Incans was a sign of a victory over other tribes. The site sat on a slope, at the edge of the hill, rock-solid cutouts of stairs, baths, altars, water fountains and ducts and even a full-fledged drainage system. We were convinced that this was a fairytale village! 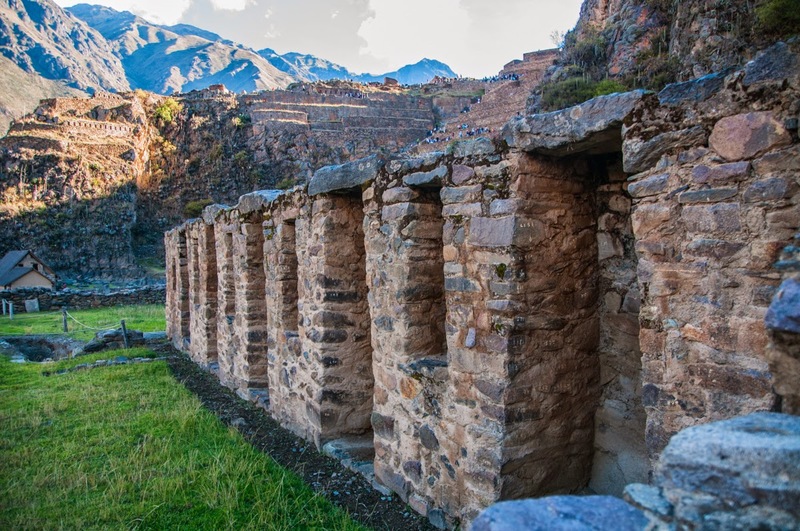 After a delicious lunch in the Urubamba province and a stopover at the silver factory, we had the greatest tour of another Incan town, Ollantaytambo, a luxurious, ceremonial estate of the ruler, Pachacuti, before the Spanish intrusion. Stones were brought down all the way from the mountain for its construction. 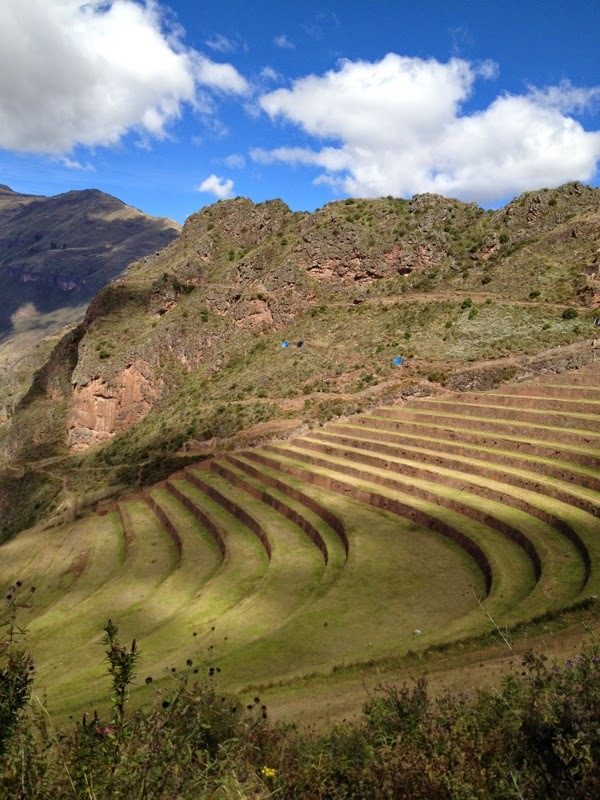 As with P’isaq, this settlement consisted of terraced lands for irrigation, stone quarries and a temple. 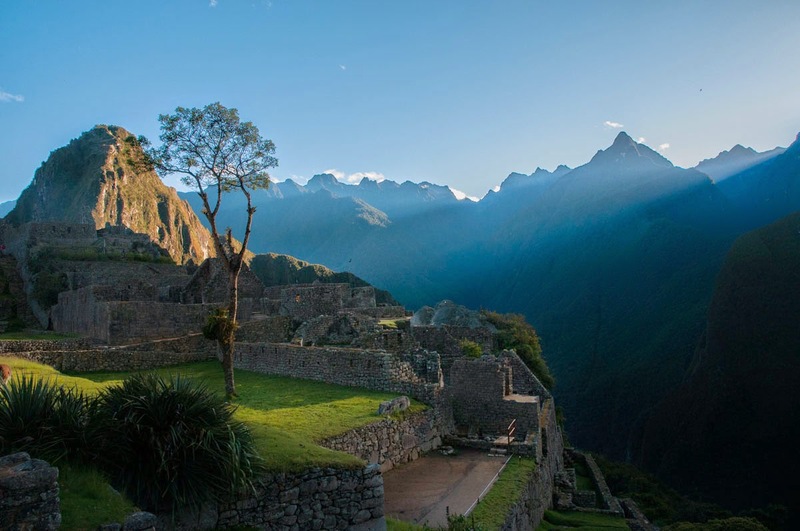 It was believed that workers built a route from here, by road, directly to Machu Picchu (the citadel itself was guarded by the Temple Hill). 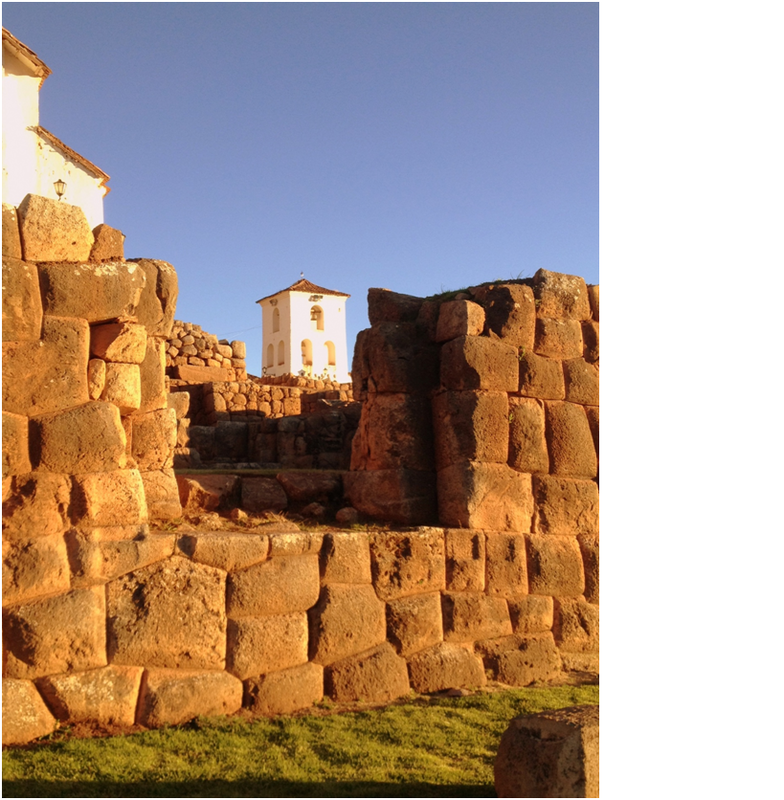 As we cantered into the sunset, we came upon the most exquisite little town yet, Chinchero, 4000m above sea level. Just the name of the place sounded like magic. 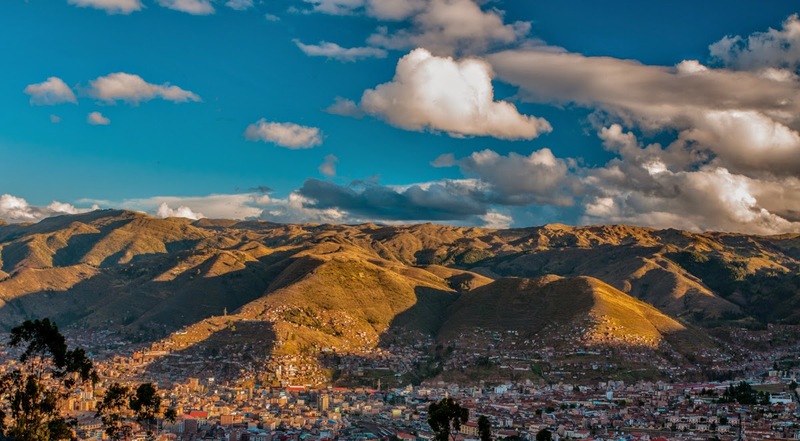 Views of the valley that receded in the distance, beams of golden light on stone, petite homes, cobblestone paths and the high and blue sky; in the midst of this fantasy, stood a church built by the Incan civilization and conquered by the Spanish. We were forbidden from taking pictures inside the church but from memory, it was the most serene place you can think of, beautifully decked up. End of day but just the beginning of another surreal adventure. 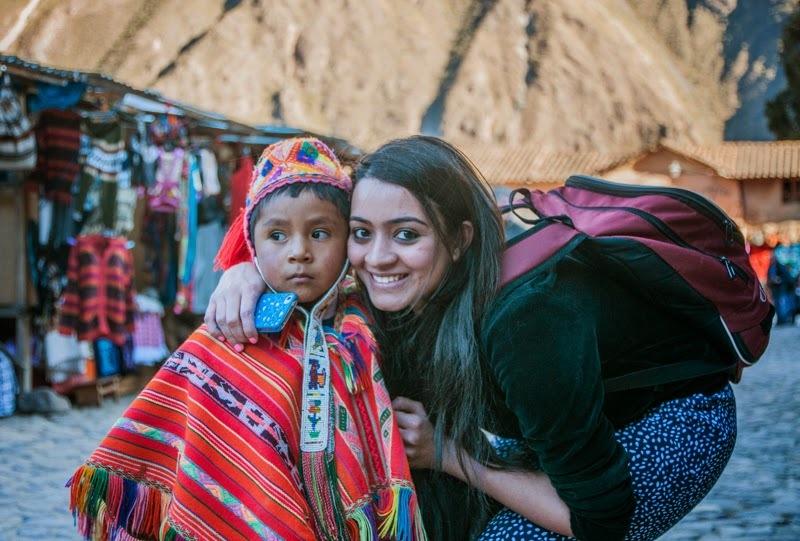 Peru Rail, the only means (other than trekking) of visiting Agues Calientes, started at the Poroy station in Cusco and took us through a whirlwind of a landscape, the pale-peaked rocky and snow-capped (Mt. 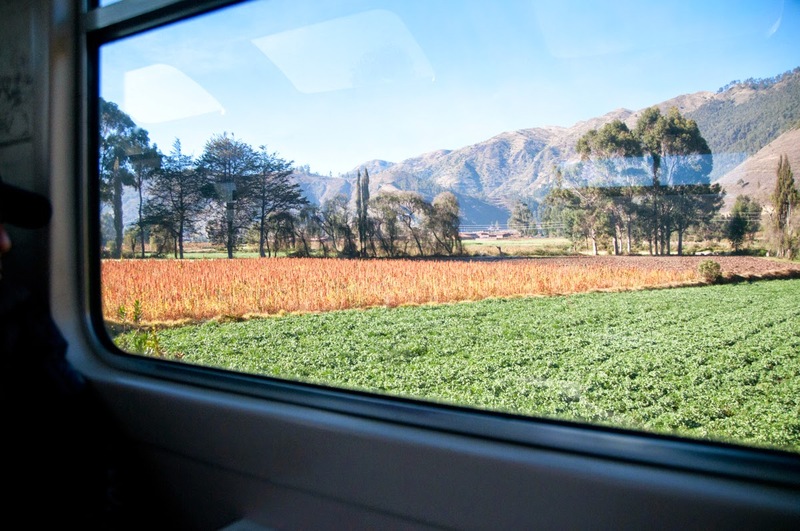 Veronica) Andean mountains, the sea of quinoa fields, twisted, crossing tracks, small cities developed beside the Urubamba River and a panoply of green. On arriving, we had a relaxing lunch that consisted of plenty of potatoes in aji pepper sauce and Cusquena. Our ebullience undiminished, we wandered through the town, making a mandatory stop at the local market. 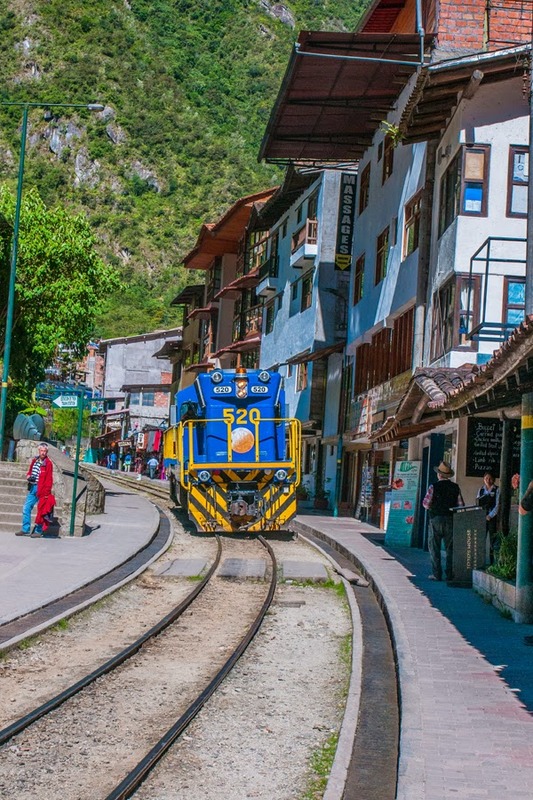 Incidentally, the Hiram Bingham express and the Peru Rail run through the heart of the city! 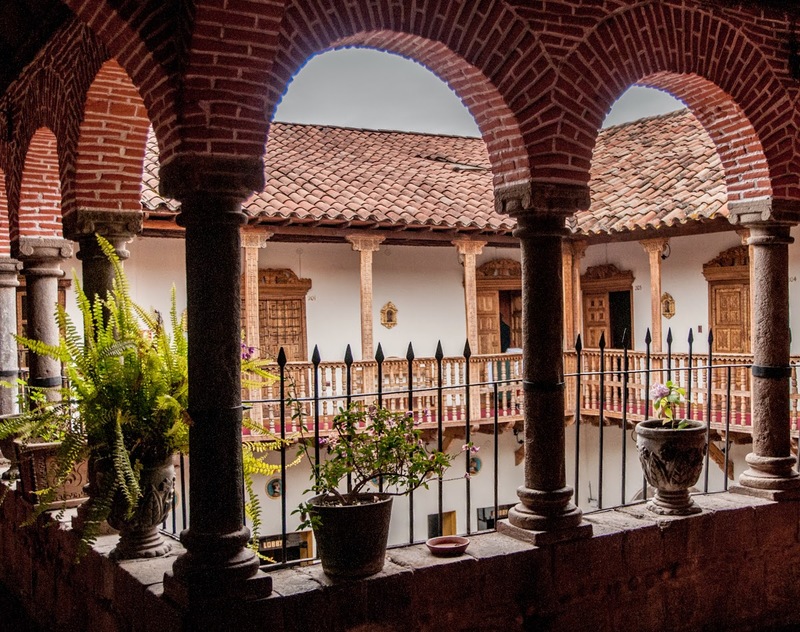 As lovely as this town was – as the sky was on fire with starlight – we checked into El Sancturio, a hotel with a spectacular panorama of the world outside, prepping for the big day to Machu Picchu. The groggy, 4am wake-up lasted just a few minutes before we embarked on the bus taking us to one of the Wonders of the World. As we threaded through our way up tight, narrow roads, the caress of the breeze, the first pink light of dawn, the emerging May sun, the swirl of the river, the land overflowing with evergreens, was comforting yet exhilarating, simultaneously. On entering this refuge, we were WONDER-STRUCK! 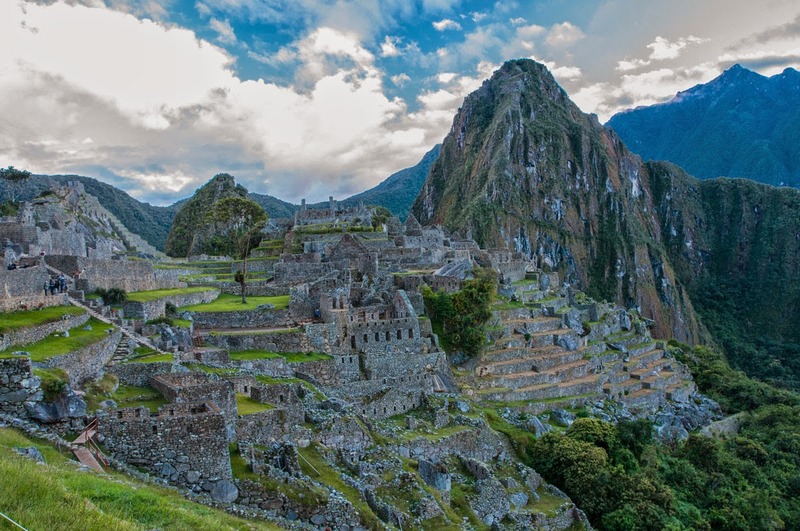 An entire civilization resided here and then abandoned it, for reasons unknown, during the Spanish conquest (Machu Picchu = the Lost City of the Incas), which was rediscovered by American explorer, Hiram Bingham. As we watched the sun emerge, it was fascinating how the morning light sailed effortlessly over the hills. 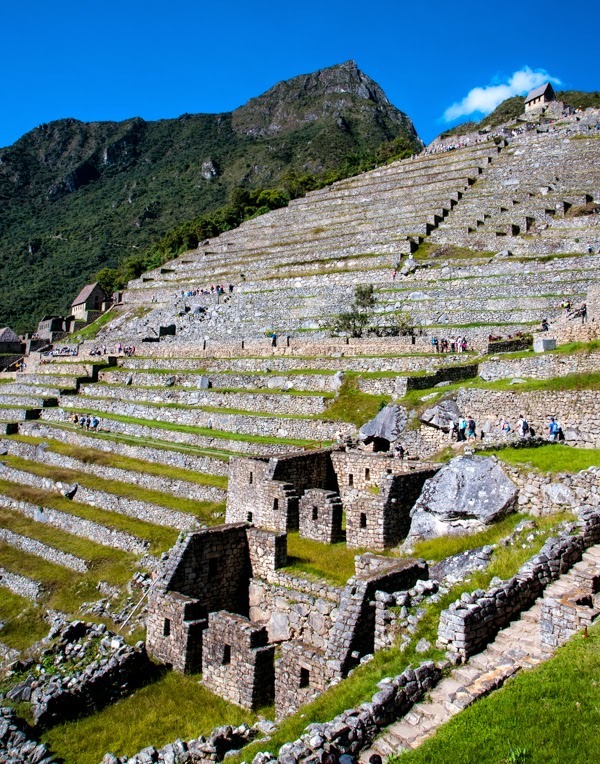 Structures in Peru are unique, wherein they are three-tiered representing the Chakana or the Incan cross: one level depicted the snake (lower world), one the puma (middle world) and the other, the condor (upper world) (Note: Machu Picchu has half a chakana, the largest space being agricultural). 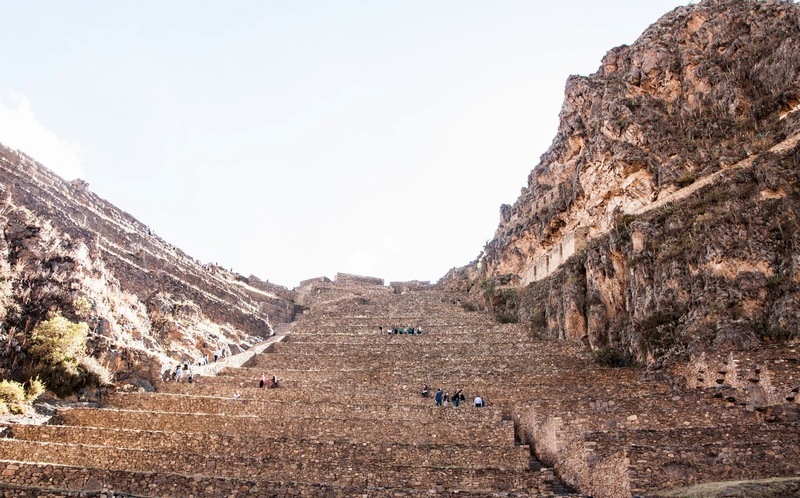 Hiking to the top was an accomplishment; we felt an impassioned, vertiginous thrill by the unspoiled majesty of what we were seeing: the religious/ceremonial/military archaeological sites and far over the brow of the foothills facing the Urubamba River. This was a great and endless megalith. We descended precipitously, immersed ourselves in the last few hours of the city and eventually boarded the train back. Best one yet. 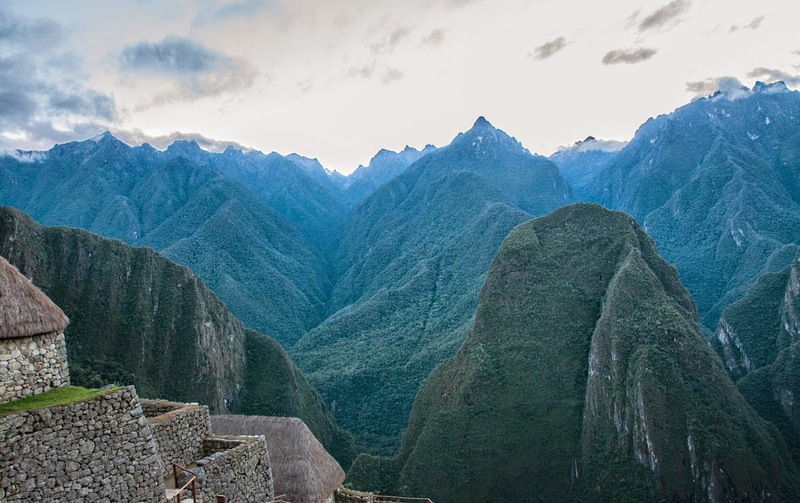 Machu Picchu looks so gorgeous. Thank you, means a lot! Aw thank you, and yes it was crazy beautiful. Very interesting guys! Feels like there are a lot of untold stories in this place.. Great stuff!